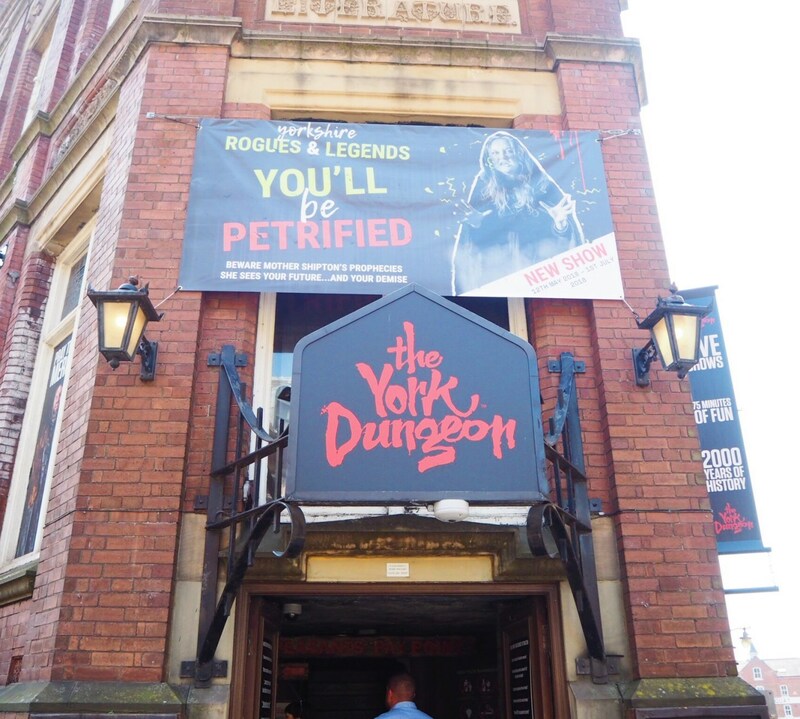 A couple of weeks ago, I was very kindly invited to review The York Dungeon. I'd never been before, and neither had my boyfriend so we decided to make a lovely afternoon of it. We arrived in the early afternoon and as it was a gorgeous, sunny Sunday, the queue to get into the Dungeon wasn't too long and we were grateful that we didn't have to wait ages to get inside. However, I've seen the queues get incredibly long on most weekends so be prepared for that. The tour of The Dungeon begins with a photo opportunity where you can dress up in various fancy dress props in front of a green screen; it was so much fun getting to dress up like the Vikings. Once inside, you'll join a group of about 20 others who you'll spend the remainder of your tour with. Throughout the 75 minutes of tour time, you'll get to experience a plethora of history of the city of York. From the vicious Vikings, to the Gunpowder Plot to the tragedy of the Black Plague; you're sure to learn something new about the history of York that you didn't already know. Along with the educational aspect of The York Dungeon, I was also pleasantly surprised to discover that the actors of the tour were incredibly funny. Providing the audience with anecdotes of the past, as well as humorous jokes and frights, the actors really did make the experience for me. The set up of the Dungeon is also something to recognise as it's clear that an awful lot of effort and work has gone into making the sets look as realistic as possible. In summary, The York Dungeon makes for an excellent day out, whether it's a family day out or you and your partner are looking for something a little different to do in York. I would definitely recommend paying The York Dungeon a visit. When: Opening times vary. See website for details.